things up around our home I think I love it enough to commit! I could picture all of these working with a mix of styles. How about you - commit or not so much? fabulous group! Stop by Marty's @ A Stroll Thru Life for Thursday's line up! me, too!!!!! i am thinking of using it in our entry. 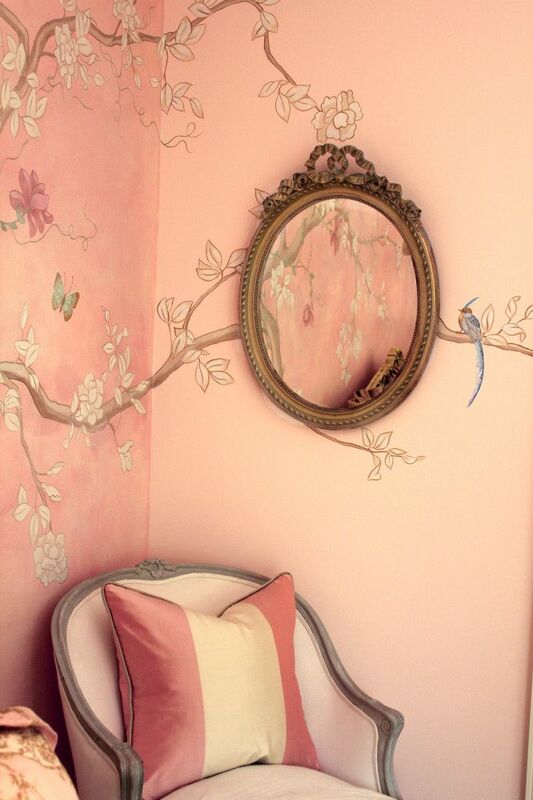 check out my friend saule's home here- her daughter anya has the most fabulous mural in her room! It's been many, many years since I would even say the word "wallpaper"!! But, WOW I love what you have highlighted. 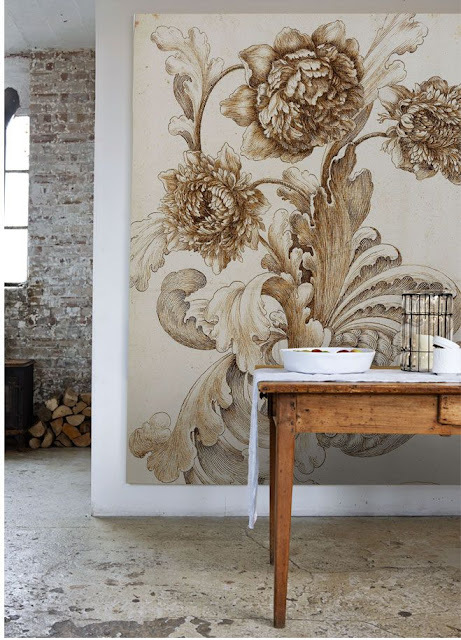 A mural paper is so different ! Loving these too, especially the print in the third picture...so gorgeous!! Such a beautiful statement! Wish I had just the right spot for a beautiful mural. 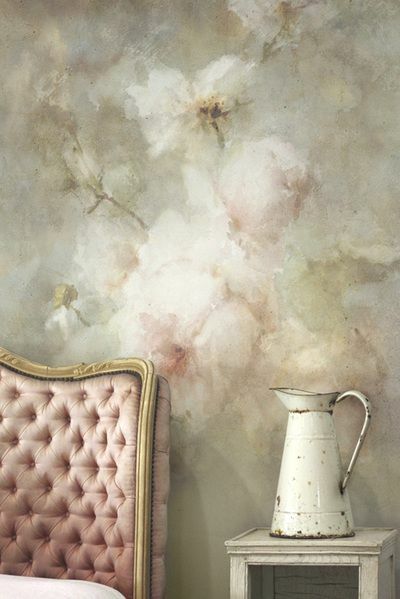 So pretty, Pam and I am loving the bathroom image…gorgeous!! 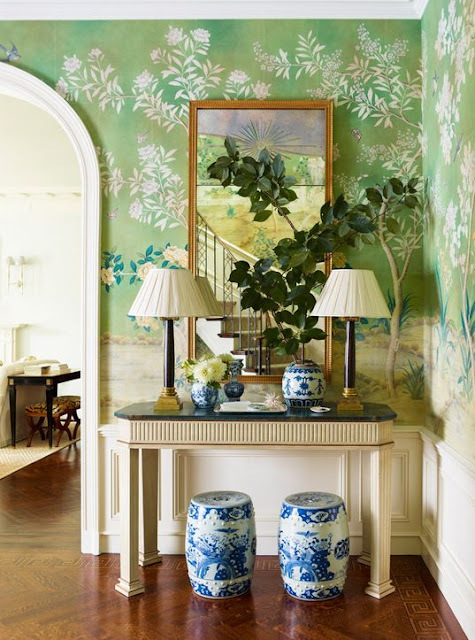 I so remember the days of murals and then it seemed to fade away and I am so happy they are making a comeback of sorts....I would love to have one in my powder room...but since it is so small, I think I may consider having an artist friend doing it for me. 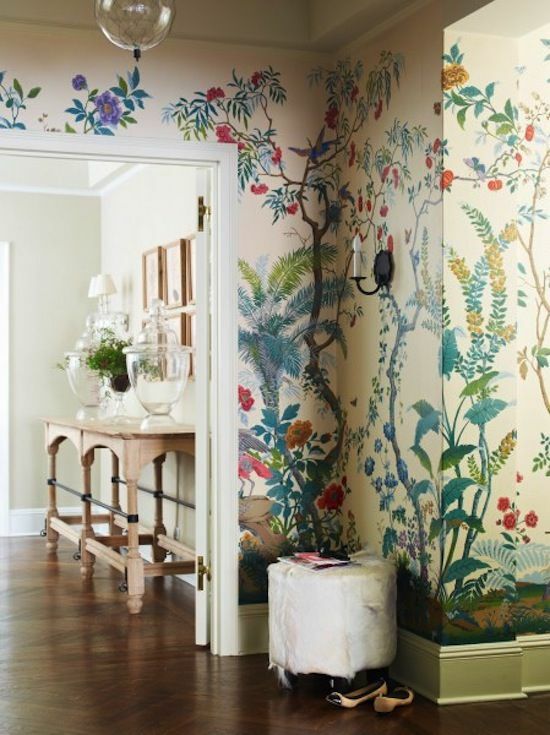 I so love the murals with the nature themes of lovely branches and birds...that wallpaper in the powder room with the brown tones of trees is amazing! I like the second, third, and fifth images. I have been considering having an actual mural painted going up my stairway wall. Will there be a giant leopard in your mural?! 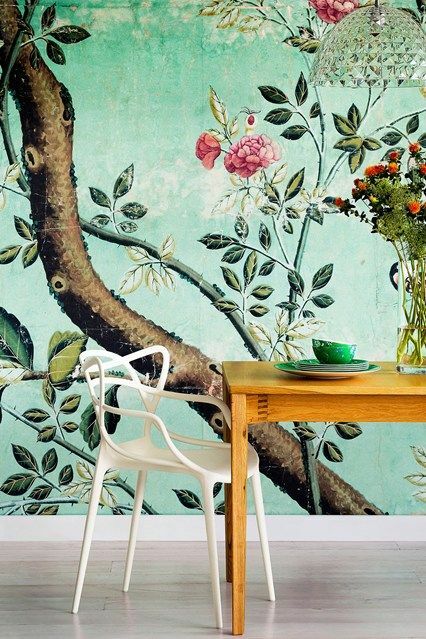 I just helped a friend order something similar to the image from lushome.com. So pretty! I would have said "no" until I saw your pretty examples! I am too, husband not so much though! Anthropologie even sells them! My Nana's best friend had a mural wallpapered winter sunroom that I was fascinated by as a child. It is still one of the prettiest rooms I have ever been in, these all take me back! I love those too and wish I had a wall for it!